Floyd Mayweather (probably) won’t be fighting Manny Pacquiao on May 5, but a May 5 fight might not even happen if Mayweather doesn’t get licenesed in Nevada for the same reason he’s heading to jail in June, with his MGM deal helping him delay his enterance to prison. On February 1, the Nevada State Athletic Commission will be handling their usual business, and holding a hearing for Mayweather, planning to ask him questions about the case in which he made a plea deal that landed him 87 days in county jail, which have pushed to June instead of January due to his fight. 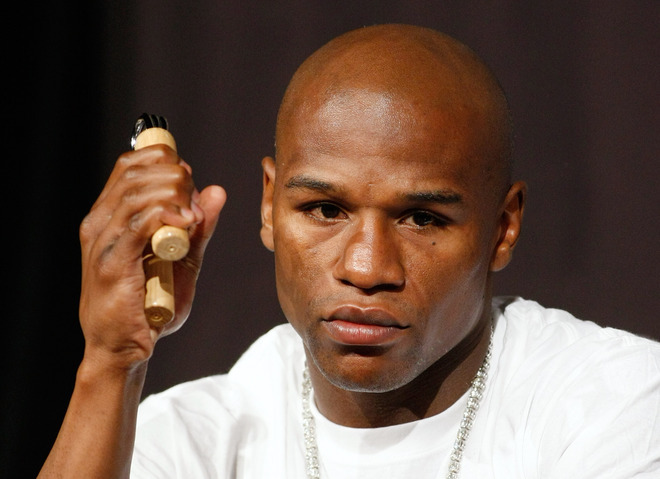 Mayweather’s attorney argued that Mayweather’s fight on May 5 will generate around $100 million, and despite that the charges were for violence, against his ex-girlfriend and mother of three of his children. In a problematic economy, star power and the ability to generate money helps you get out of jail, at least for a short while. Who will he fight? Still unknown. It looks like everyone around the Welterweight, a bit higher and lower, are waiting for the choice Manny Pacquiao will make. Marquez? Cotto? Peterson? Bradley? Cotto himself has already said he’s more open to fight Mayweather, due to weight and maybe the beating he’s already been through against Pacquiao. Canelo, Saul Alvarez, is also in the mix, but generally, everyone are waiting for the big two to make their picks. I’m pretty sure Mayweather has given up on trying to still land Pacquiao. It won’t happen, Bob Arum won’t let it.